North Coast Land Conservancy expanded two of its existing habitat reserves when it closed on two land acquisitions in November. 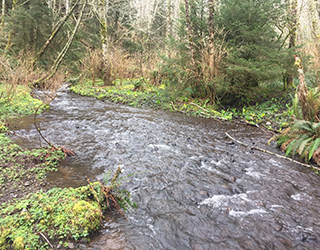 A gift of land northeast of the community of Neskowin, in southern Tillamook County, has increased the size of North Coast Land Conservancy’s Butte Creek Habitat Reserve to nearly 46 acres. On Nov. 14 Jane and Jack Casey donated to NCLC a 10-acre parcel of forested land running through Butte Creek, a tributary of Neskowin Creek, along with a financial donation that will support the property’s perpetual stewardship. The Caseys are friends of Sue Gabriel, who in 2016 donated two parcels of land totaling 35.9 acres, both of which are bisected by Butte Creek, to establish the habitat reserve. Butte Creek supports populations of coho salmon and Pacific lamprey. NCLC expects to partner with the Sand Lake, Neskowin and Nestucca Watershed Council in its stewardship of the land. Neacoxie Prairie Habitat Reserve. In the distance, the summits of the proposed Rainforest Reserve east of Arch Cape. On Nov. 28, NCLC acquired 8 acres of prairie habitat on the east side of Neacoxie Creek north of Gearhart. Neacoxie Prairie Habitat Reserve now spans both sides of the creek. 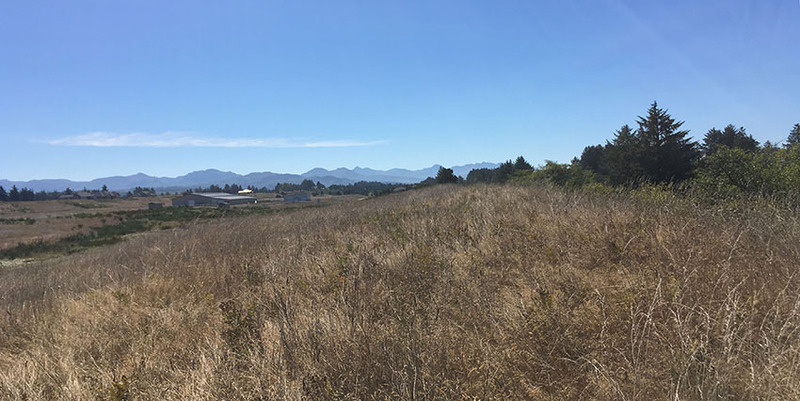 The acquisition expands protection of native plants and animals in the Neacoxie Wildlife Corridor, where NCLC already conserves more than 800 acres of native habitat in nearly a dozen reserves. The National Park Service partnered with NCLC to acquire the land through a transfer of conservation credits.